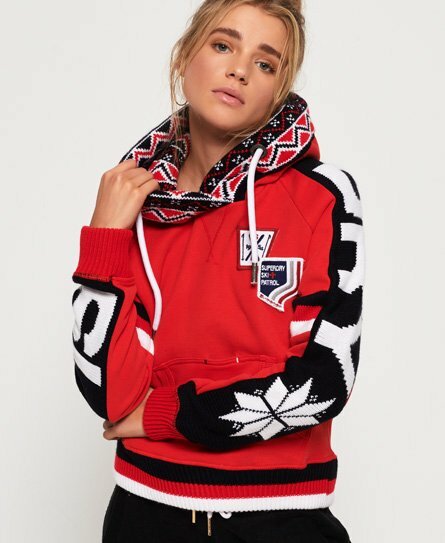 Superdry women's Winter Sports knit crop hoodie. Layer up in this hoodie, featuring a draw cord hood with a knitted lining, a front pouch pocket and ribbed trims. This hoodie also features knitted panels on the sleeves with Superdry logos down them, and is completed with applique badges on the chest. Style with boyfriend jeans for a relaxed look.